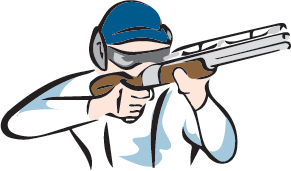 Future Farmers of America (FFA) Alumni from Lennard High School and Beth Shields Middle School are sponsoring their third annual Shooting Clays for FFA event on Saturday, Feb. 2, at FishHawk Sporting Clays, 13505 Hobson Simmons Road, Lithia. The cost per person is $50, or four-man teams for $200. There will be a gun raffle, 50/50 drawing and prizes. There will also be food available for purchase. Pre-registration is recommended by emailing Holly Bunting at hbun100404@aol.com. Although onsite registration will begin at 8 a.m., with the shoot beginning at 9 following a safety meeting. This is a 50-clay event, and shells are not included. It is recommended that each shooter bring a minimum of 50 shells of 7.5 to 8 shot. Shells will also be available for purchase at the event. Shooters of every skill level are welcome. Feel free to bring your own gun and golf cart or side-by-side (no 4-wheelers). If needed, shotguns and golf cart rentals are availble with a reservation.